Time and again we hear entrepreneurs or prominent individuals tell us that the right mindset will bring us accomplishment. We hear it so often yet we know little of its essence. If you think innate talent and intelligence alone will bring you success, you’re wrong. You need to have a growth mindset. Develop your talents and know that there is always something new to learn. If you continue this process, you are creating the desire to strive for greatness and this will deliver you to your goals. To assist you in enhancing your learning skills, there’s ATC Ginkgo Biloba. ATC Ginkgo Biloba is made of gingko biloba and maiden tree extracts. These two extracts are known to help sharpen the memory along with following a healthy diet and keeping your mind active. Gingko Biloba is also helpful in regulating blood flow to the brain thus, lowering the possibility of having Stroke. It is also capable of protecting and healing damaged cells caused by medical conditions such as Alzheimer’s and Glaucoma. In addition, it can also alleviate mental depression and mood disorders. Note that, ATC Ginkgo Biloba is not a medicinal drug and should not be used to treat the symptoms of any disease. ATC Ginkgo Biloba is recommended to be taken ­­­­­1 softgel capsule per day after meal with warm water. Nail your holiday performance by mastering the steps or knowing the lyrics with ATC Gingko Biloba. 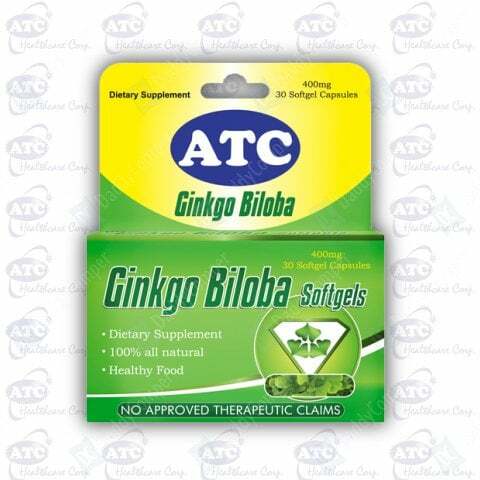 ATC Ginkgo Biloba is P6.00 SRP per capsule, available at Mercury Drug and other leading drugstores nationwide. ATC Ginkgo Biloba, the Brain Enhancer.